Is Sustainable Farming In Ethiopia Possible? FARMERS GO ON A TOUR TO SEE HOW OTHER FARMS ARE INTRODUCING NEW CROPS AND NEW TECHNIQUES. BY MODELLING AND COLLABORATING, FARMERS SUCCEED. Subsistence farming can be a thankless job, marked by years and years of hard labour with an audience of indifferent animals and worry that a change in the weather could mean months and months of hardship for your family. Farmers in the Sasiga region of Ethiopia have been dependent on the land for their livelihood for generations, but this year marked an exciting shift toward sustainability and safety, a shift toward financially stability and communal growth. Food for the Hungry (FH) Ethiopia worked within the communities of Sasiga to identify specific challenges and to target the kebeles (neighbourhoods) best suited for various initiatives. Together with local farmers, FH worked to create efficient irrigation systems, improve soil and seed quality, implement pest control measures, and educate farmers about the benefits of composting, commercialization, diversification, and redemptive agriculture. It's had a significant impact. 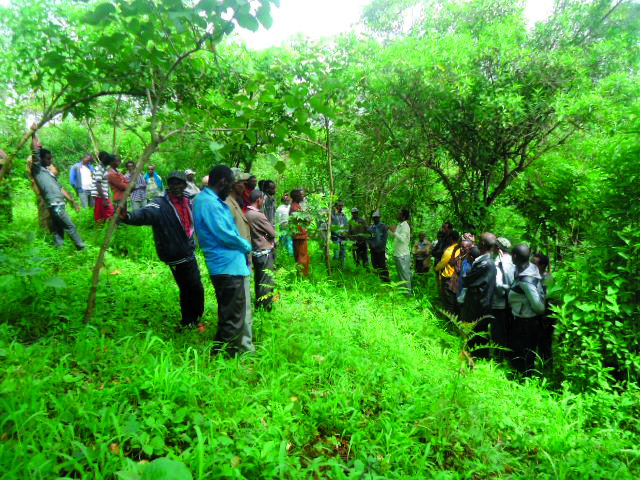 Crop diversification in Sasiga has met with success. Groups that trained in fruit and vegetable production successfully cultivated papayas, bananas, avocados, tomatoes, onions, beetroot, and carrots. The sale of these crops enabled families in Milki Gudina, Tesfaye Gobu, Latera, and Dirbaba to work towards improving their living conditions by supporting their children in school and by adding corrugated sheet metal roofs to their homes. Coffee bean production has taken root as a sustainable practice as well, with individual farmers generating extra income. Bekiri Mume, a farmer from Oda Gudina, gained an additional income of 3000 birr ($180 CAD) from coffee bean sales to neighbouring farmers this year, many of whom will begin small plantations of their own. FARMING FAMILIES GATHER REGULARLY TO RECEIVE TRAINING FROM FH AGRICULTURE PROMOTERS. FH worked with communities in Sasiga to implement the best irrigation and organic fertilization practices. This enables farmers to continue to grow and sell crops outside of the rainy season, providing the market with fresh food and the farmers with a steady income. These accomplishments did not go unnoticed by the Sasiga district administration office, which organized a forum to recognize the best performing institutions and model farmers in the region. All district sector officers and partner NGOs joined the model farmers of the district for this event, with a total of 500 people participating. The Sasiga project was awarded a certificate for best practices in education, agriculture, health, and nutrition, as well as in the water sub-sector. FARMING IN HIGHLANDS OF ETHIOPIA PRESENT CHALLENGES SUCH AS PERIODIC DRY SEASONS AND INTENSE SUNLIGHT. FARMERS ARE LEARNING TO WORK WITH NEW CROPS IN THEIR AREA. 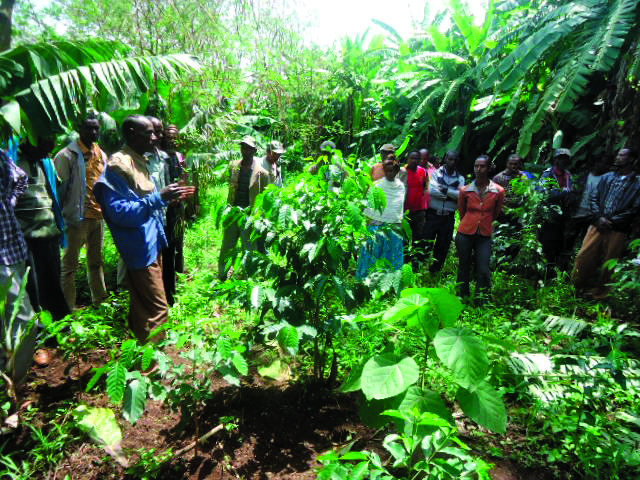 A GROUP OF FARMERS AND COMMUNITY LEADERS TOUR A COFFEE AND BANANA GROVE. Food for the Hungry: Is Sustainable Farming In Ethiopia Possible?